Apparently “International Women’s Day” holds major weight in that part of the world because this woman was so furious that she clawed her husband’s ball off for not giving her anything for it. Crazy part is she said she felt no remorse and that ‘he deserved it.’ Ouch! Poor guy. I had personally never heard of International Women’s Day until recently (the other day) and had NO idea I was supposed to be collecting gifts for it. I feel so deprived. A Romanian woman tore off her husband’s left testicle after he failed to give her flowers on International Women’s Day and then refused to help with the housework. 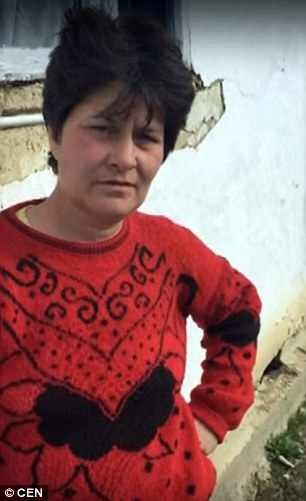 Ionel Popa, 39, from Vaslui County in the north east of the country, was rushed to hospital with his scrotum torn open after his wife Marinela Benea, 40, launched a vicious attack. Mrs Popa grabbed one of her husband’s testicles and pulled violently during the argument. Mr Popa’s left testicle was left hanging out of his scrotum after the skin was ripped apart. He was forced to undergo emergency surgery to repair the damage and remains in a stable condition. Following the incident, Ms Benea said she did not know her own strength, adding that her husband deserved what had happened to him. Ionel had been given a bottle of wine for a day’s work instead of getting paid, and had arrived home drunk. When he gets drunk, he changes. All night he made me keep the fire on because he was cold and I did it to avoid having an argument. In the morning I opened the curtains and told him to go out and do some work, or at least to help with the household chores but he shouted that I’m not entitled to give him orders. I told him he was not any kind of man and I grabbed his testicles. It was not my fault that he pulled away, and that’s when it happened. I thought maybe that some ice would solve the problem, but he insisted on calling an ambulance. The couple have been married for 15 years and have a 15-year-old son. The man had a severe open wound on his scrotum. He told us his wife had attacked him because he did not give her flowers for International Woman’s Day.